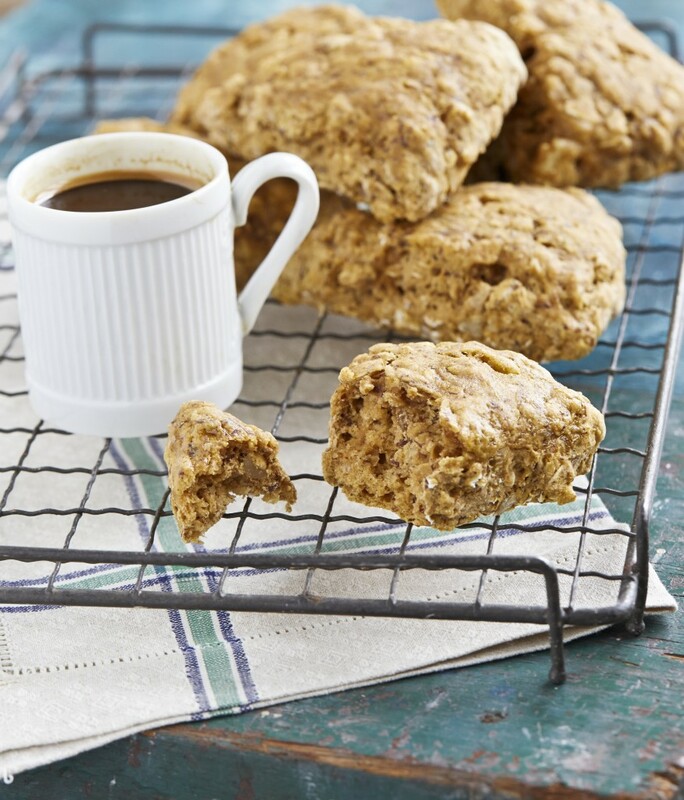 Here’s a surprise you’ll welcome: There’s squash in this comforting, delicious recipe for scones. And it’s good in ways everyone will appreciate. Enjoy! Preheat the oven to 350°F and line a large cookie sheet with parchment paper. Mix the dry ingredients in a large mixing bowl. Mix the wet ingredients in a smaller bowl. Right before baking, add the wet ingredients to the dry ones and mix until thoroughly combined, then mix in the walnuts. Scoop out the batter to the middle of your prepared cookie sheet and pat it into a big circle about ¾-inch thick. Using a chef’s knife, score into 12 triangles by cutting halfway through the dough. Bake for 25 to 30 minutes until golden brown. NOTE: You can use canned pumpkin in place of the butternut squash if that’s what you have on hand.